Dr. Rachel remembers the joy she felt as she dressed as “Dr. Rach” in kindergarten. Today, she looks back with joy and fond memories of visiting her chiropractor for wellness care as a child. With a desire to share with families the blessing she has experienced with chiropractic care since birth, she graduated as a Doctor of Chiropractic from Sherman College of Chiropractic in South Carolina in 2016. Dr. Rachel is also a graduate of Lehigh University, Bethlehem, with a degree in Behavioral Neuroscience. As a family chiropractor, Dr. Rachel provides natural family chiropractic wellness care, with a special focus on pregnancy and children. As a proud member of the International Chiropractic Pediatric Association (ICPA), she is certified in the Webster Technique which is specific to chiropractic care during pregnancy. She has also studied craniosacral with the Upledger Institute. Rachel is committed to educating families on the beauty and wonder of the nerve system in the Sugarloaf community and beyond. She frequently speaks at schools, children and parent groups, churches, clubs, and organizations in the community. She also holds family wellness workshops and classes at Life Expression Wellness Center. 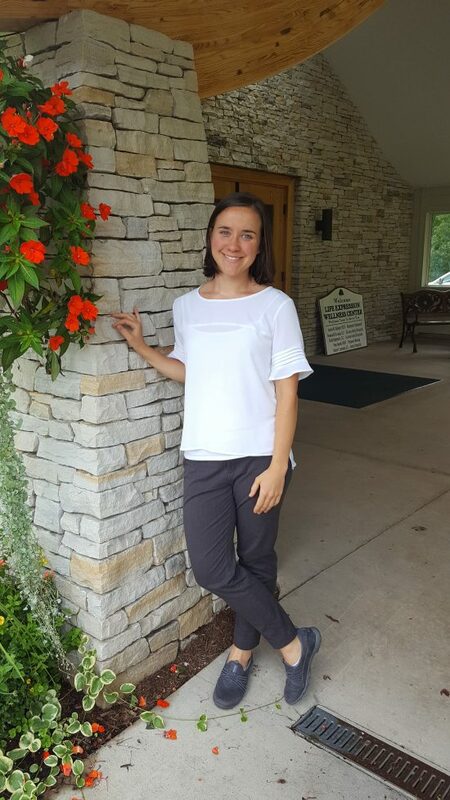 Rachel enjoys travelling in chiropractic service, and has traveled in chiropractic outreach groups to care for the people of Haiti and the Dominican Republic. Rachel believes when we are connected with our nervous system as the God-given source which directs bodily healing, we experience the best inner healing of our own design. As the foundation of health, vitality and wellness, all children and families love the experience of optimal nerve function from birth to graceful age. Outside of her love for chiropractic, Rachel enjoys spending time with her family, the adventure of the outdoors, the challenge of running and hiking, and the joy of healthy eating and gardening. What is Family Chiropractic? And How Do I know if I Need Chiropractic? We are created with a magnificent ability to heal. At the moment of conception our health was given to us as a blessing, and our body has a inner intelligence or organization, allowing the words “self-healing”, “self-regenerating”, and “self-replicating” to be wonderfully descriptive of every process in our bodies. We are dynamic and ever changing. The essence of true health hinges on our body’s ability to continue to change and allow us to thrive. The focus of family chiropractic is the preservation and protection of your body’s inherent healing process. Your nerve system is your body’s communication system. This amazing and fascinating system controls all healing in your body! Life circumstances and experiences such as being born, falling as a child, significant accidents and falls as an adult, chemical and emotional stressors affect the function of the nerve system. This impact is known as subluxation, disrupting nerve communication in the body. The result is the body’s healing ability is dampened. The body must then use more energy to heal, more resources to function, working less efficiently. Like a light bulb dimming affects the whole output of light, subluxation affects the whole output, and input of your neural circuitry. Some of this dampened healing ability may appear as symptoms or signs as the body works to re-establish balance. But the reality is brain and body function is impacted far sooner than the arrival of symptoms alone can reveal. And so the goal of chiropractic is that your nerve system heal and function at its best according to your body’s design to do so! It makes perfect sense that plants need abundant sunshine, water, and nutrient-dense soil to grow. But from the start, a healthy foundation of the plant’s root system is key for its growth, survival, and strength. And so, chiropractic makes perfect sense! We need healthy air, water, and whole organic food to be our best. And from the start, a healthy foundation of our nerve system, our amazing brain and spinal cord, is key for our growth, survival, and lifelong health. Specific to you, Dr. Rachel’s holistic and non-therapeutic chiropractic approach is gentle enough for all ages and stages, from newborns to seniors. Her approach is respectful of the unique needs of each person. Her type of approach does not involve any twisting of the body or any cracking sounds typically associated with chiropractic adjustments. See below! 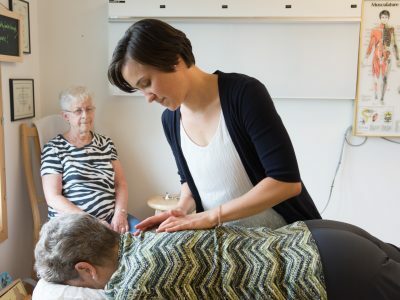 Tonal chiropractic technique involves minimal pressure and the focus is the specific location, direction and timing which your nerve system needs to balance the protective layers of bone, muscles, ligaments, and inner connective tissue in your spine most effectively. It is found that a gentle amount of force to the nerve system is necessary for the body to demonstrate phenomenal positive adaptive change. Like the optimal tone found when tuning a guitar, your body works beautifully when in proper tune! Dr. Rachel will show you what changes are present in your body during your first appointment. Most of our patients are surprised at how relaxed they feel during their adjustment. The goal of the family chiropractor is simple: to identify and engage with the body to bring about the body's correction of subluxation in the protective structures of the spine and supportive tissues. The body is then more free to restore balance and normal nerve function, protecting the nervous system and promoting optimal health. While chiropractic technique is unique to each chiropractor and very much an art form, Dr. Rachel combines her knowledge of various techniques with a focus on the tonal understanding to best suit you. Your care is unique for you and your family's needs, and the continued healing process of your nervous system. The nervous system includes many protective layers. 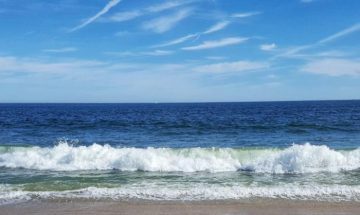 With craniosacral care, attention is given to the protective fluid balance known as cerebrospinal fluid (the brain's cleaning system). This allows the body to ease deeper restrictions which can affect how the body adapts and heals. Dr. Rachel is finishing coursework in Craniosacral care. She uses the skills she has gained in her education, practice, and service of her hands to best suit you and to best meet the needs of your body. Dr. Rachel is dedicated to the health and well-being of families in her community and beyond. She is a lifelong learner, and is continually staying up to date on various seminars and coursework, new research and technology to best focus on the health of you and your family. A person's a person, no matter how small! A nerve system is important no matter how small! You will find that Dr. Rachel has a passion to care for all people, particularly babies because of the significance and immeasurable gift that a healthy nerve system offers a person no matter how small they may be. Just as a young sapling needs the best rooting to become a tall strong tree one day, a child's nerve system needs the best "rooting" as a fundamental foundation to their brain-body function for their entire lifetime. I wish I knew Dr. Rachel when my kids were babies. I would have been seeing her the day they were born! Since we started seeing Dr. Rachel I have noticed a huge difference in their ability to concentrate and focus in all aspects of life. 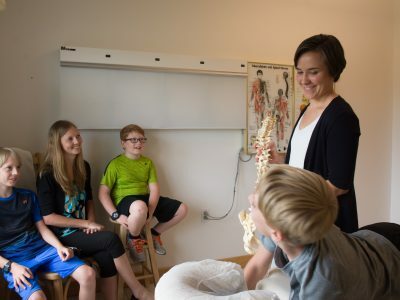 My kids are experiencing better sleep, improved ability to focus on schoolwork and healthier immune systems since starting our chiropractic care with Dr. Rachel. 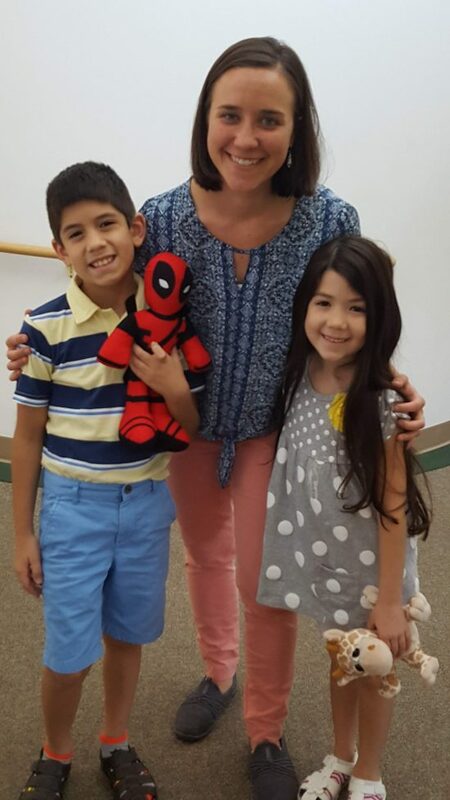 Dr. Rachel takes the time to explain and educate, and is fantastic with kids! We love our visits! In the short amount of time my kids have received care, I do see an improvement and am thrilled with the results. Dr. Rachel has been amazing in so many ways. The personalized plan has me very hopeful for a successful outcome for my boys (pictured above)! I first met Dr. Rachel when I was in my third trimester with my second son. Everything with my pregnancy was going well. I went to my 34 week appointment and second ultrasound. I left the office in tears when we found out my son was breech. My doctor recommended I go see a chiropractor. My husband, being a chiropractor himself, suggested we go see a different chiropractor and one who specializes in the Webster technique. Dr. Rachel got us in for an appointment that week. I explained to her that he was breech. My first son wasn’t breech and I had a natural birth, something I was praying for with my second baby. My goal was to avoid surgery! Dr. Rachel was wonderful. She was calming and confident with her adjustments, which was very reassuring to a very nervous mom. Two weeks later when I went back to my next OB appointment, he had flipped and was in the right position! I was so happy!! Two more weeks later he arrived naturally, healthy, and happy. I am very grateful to Dr. Rachel for all her help with getting him ready for birth! I love that I experience more ease of movement, a more upbeat attitude, and an deeper appreciation of all the beauty that surrounds us with the family chiropractic care my family and I receive with Dr. Rachel. I am amazed by such gentle touch and no pressure or cracking of the spine. I am feeling much better than I was a year ago. Dr. Rachel is hands down the best chiropractor I’ve ever visited in my 57 years (from a pool of 15-20). Gifted in the healing arts and very bright and caring on top of it! Dr. Rachel Leskosky doesn’t just test you, adjust you and send you on your way. She’s also a teacher who tries to help you understand how all parts of the body work together to help the body do what it’s naturally designed to do to heal itself. You leave relaxed and confident that your in the right hands. The relationship of mother and child begins in the womb. A child’s nerve system guides her entire developmental process. A blessing all parents treasure in our office is for every child to develop with their body working at its best potential. Children love chiropractic care. We find mothers and fathers recognize how well their children thrive when a healthy nerve system is core to their foundation, and so place much value in their children’s chiropractic care. Pregnancy is such an exciting time of life! A baby’s health begins before birth, even before conception. With family chiropractic care, mothers and fathers experience more ease in expecting and raising their families. Mothers with a healthy nerve system experience more balance in their pelvis, and more ease and as baby grows. Her body’s wisdom allows baby to move into proper position with ease as birth approaches. The American Pregnancy Association and the International Chiropractic Pediatric Association (ICPA) recommends women receive chiropractic care throughout pregnancy to establish pelvic balance and optimize the room a baby has for development throughout pregnancy. Women who choose family chiropractic care often experience decreased labor times, decreased need for pain medication, and decreased emergency c-section. Family chiropractic care helps mothers to have better awareness during pregnancy, during the birth process, during their fourth trimester and for the changes they will experience during motherhood. Dr. Rachel is certified in the Webster Technique, which is specific to women during pregnancy. She is also a proud member of the International Chiropractic Pediatric Association. You don’t need a referral to begin chiropractic care. Email or call Dr. Rachel at 570-359-3888 and she will help better ease your curiosity of how chiropractic care can help you during this exciting time! One of the truest honors as a chiropractor is the privilege to care for your children. It is an honor we take very seriously. Child chiropractic care is so important! 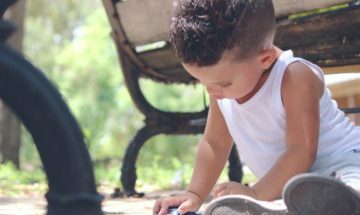 As far as the health of children is concerned, it was once believed that our children’s health was determined by the presence or absence of symptoms. Yet today we know so much more about health and the origins of disease. In fact, so much so that we know it is dangerous and costly to think of health as the absence of symptoms or disease. We now know that the health and quality of life of your children is better determined by their ability to take in, integrate and appropriately respond to environmental stimulus and experiences. We know that healthy, whole foods, clean air, and proper rest help build a strong foundation for them during childhood, which is fundamental to a healthy adulthood. Physically, chemically, emotionally, and spiritually, we know that injuries or experiences do affect a child’s ability to grow and mature into stable adults. The master control system of their bodies responsible for this foundation is the nerve system. We find many of our parents discover that when the focus of chiropractic is improving the function of the nerve system, the rest of the story makes sense. All stages of a child’s development: pregnancy, birth, and childhood benefit greatly when children experience this time with greater health and well-being. The nerve system is the master control system of their body. Their brain is connected to every cell, tissue, and every organ through the nerves that run through their spine. This system is responsible for all growth and repair processes in their body. It also is responsible for hormone, gland, chemical, and emotional balance within their brain and body. With children, any interference or hindrance to the way this system communicates can go undetected, and does not often manifest until years later. Symptoms are the body’s natural way of communicating that something is not right, but symptoms do not need to be and are often not present when a child’s nerve system growth and repair processes are directly impacted. Nerve imbalance can manifest later in life as physical problems, emotional issues, or behavioral issues if not addressed early in life. Some parents initially seek chiropractic because they have heard that health concerns such as colds, sore throats, ear infections, fevers, colic, breastfeeding difficulty, asthma, tonsillitis, allergies, bed-wetting, infections, pains, falls, and stomach-aches may be related to their child’s nerve system function. And many parents also seek chiropractic care for their children because they have learned how great the great lifelong investment a healthy nerve system offers their children. Parents often report their children experience healthier immune systems, with better resistance to disease and better overall body function. A healthy nerve system positively influences the health of the immune system, cardiovascular system, respiratory system, digestive system, reproductive system, all systems in the body. Children’s bodies are more fully connected to their healing system of the body, and so their bodies work with better efficiency. Chiropractic care for children is a lifestyle choice parents make which enables their children to be fully empowered to actively be connected to their source of life, and pursue the expression of the unique gifts they have been given. Chiropractic care for newborns is so gentle, safe, and (like the care we provide for adults and kids) doesn’t involve any twisting or cracking sounds. Our best recommendation is that children be checked for subluxation soon after birth because of the potential damaging effects of the birth process itself. Even the gentlest and most natural of birth processes may leave the delicate nerve system of babies with unprocessed stress from the experience. This may be due to physical stress (pulling on their delicate neck and spine, forceps use or suction use, or c-section), chemical stress (medications during labor), and emotional stress (hey, it’s a brand new world out there!). One of the most dangerous and costly misconceptions held by people today is that the absence of symptoms indicates optimal health. But we know this is not the case. In the case of subluxation, interference patterns will cause a negative change in the nerve (healing) system, predisposing your baby to future symptoms, sickness or nerve dis-ease that may manifest months or even years later. Early detection and correction of this nerve interference by a chiropractor is important especially in children because of their growth and development. They are laying down the foundation now for how well their body functions for the rest of their lives. Sixty-five percent of a child’s neurological development happens within her first year of life. It cannot be stressed enough how influential a balanced nerve system is for a child for his development the rest of his life. Have questions you’d like us to answer? We appreciate the opportunity to field questions, clear up concerns and put prospective patients at ease before their first visit. Email Dr. Rachel, or call our office at 570-359-3888 and she will help answer any questions you may have about chiropractic care for you and your family. Our objective is to serve You! Family Chiropractic does not replace or substitute for medical care; nor serve as treatment or cure for pathology or disease states, including physical, mental or emotional ailments. Any improvements in conditions reported to the chiropractor by the practice member are considered a good effect or benefit of body function improvement with chiropractic care, yet not the goal of chiropractic care. The goal of chiropractic care is a balanced, optimally connected nerve system. With a balanced nerve system you are better able to reach your full potential and to express more life. Every man, woman, and child loves and deserves the opportunity to optimal healing. The surest way for this to be possible is through a balanced spine and nervous system. If you want Chiropractic to be part of your health journey and to allow yourself to experience a higher quality of life and dynamic health, we encourage you to have this experience firsthand. It is simple to get started, and we look forward to caring for you! Need a different day or earlier or later appointment? Call us and ask! Dr. Rachel is currently accepting new patients! Call our office today for your individual or family appointment. Dr. Rachel also offers complimentary consultations for you and your family. We look forward to meeting you! Click on the button below to schedule your appointment with Dr. Rachel! Wish to receive Dr. Rachel’s Family HealthTIPs? Click here to sign up! Have you ever watched how a child plays? Oh what a joy it is to see you grow!